Valentine’s Day has already landed-up. And what can be better than booking a romantic rendezvous for your sweet love, having a good time outside your home. 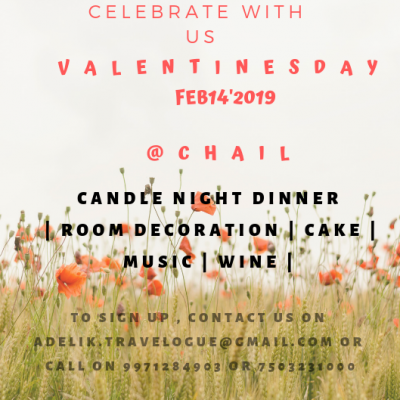 A candlelight dinner, soft music and just you and your partner; you cannot imagine a better Valentine’s Day spent than this.